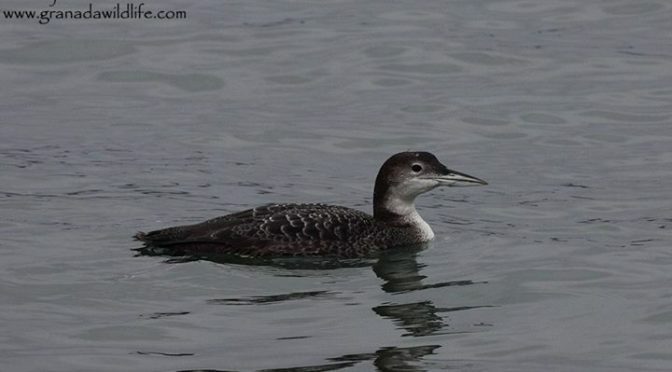 Great Northern and Black-throated Divers seen in the Harbour at Santona, Cantabria on the 4th Feb 2017. 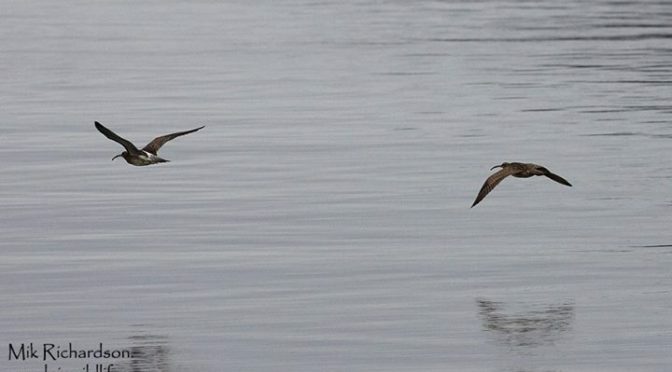 Also had a Red-throated on the 6th but it was distant when on the water and to fast when it flew past me and out to sea. Back on the 4th Feb I had views of the Hudsonian Whimbrel at Santona but they were not great so I went back on the 6th and had the bird fly past with a couple of European Whimbrel giving me close views. I also managed to get a few shots off as it went by but as the light was so bad and the ISO was set high they are not great.